UIP Enforce security manager Jan Vogel has left the UIP for an appointment in Ghana. The UIP thanks Jan for his commitment and the high service levels rendered over the past three years and wishes him well in Ghana. 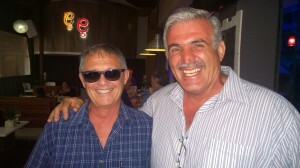 Jan will be replaced by Dave Crewe, a resident of uMhlanga Rocks and the UIP welcomes him to the precinct.